Dr. Elizabeth Carter is a Chiropractor, Naturopath, and M.D., Ph.D.(C), who has served the Main Line and Philadelphia area for 18 years, specializing in pediatric, pregnancy, and nutrition. Her practice, Restorative Health Center, is based in Exton, PA. Dr. Carter believes in comprehensive healthcare that gets to the root of a problem while it is still manageable and utilizes naturopathic healing strategies along with chiropractic services to promote true body and mental health. With her diverse background in professional dance and her passion for outdoor adventure, Dr. Carter is well versed in movement, natural body connections, and the power of holistic healing. 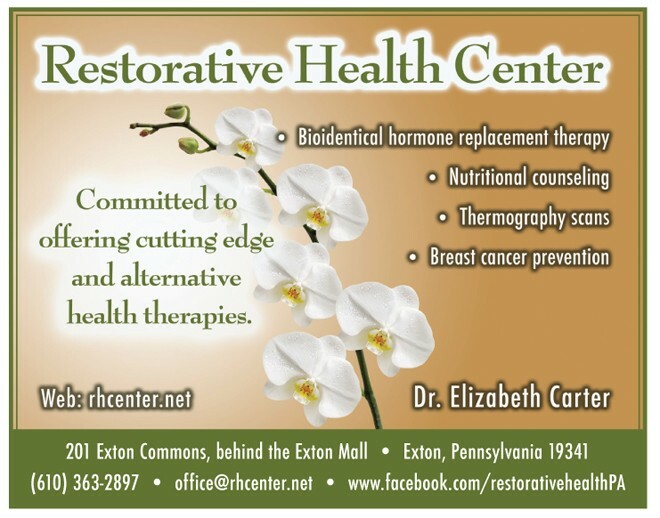 Restorative Health Center, located in Exton, is committed to offering cutting edge and alternative therapies. Our women’s health services are integral to our practice and include bioidentical hormone replacement therapy, nutritional counseling and thermography scans. Dr. Carter is especially committed to breast cancer prevention. 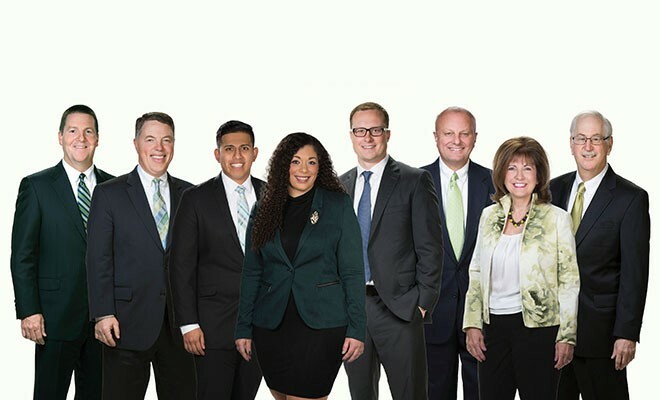 At Restorative Health Center, we understand that it’s often challenging to find a provider who meets patients’ unique needs and treats them with dignity and respect. Dr. Carter believes in comprehensive healthcare that gets to the root of a problem while it is still manageable. She is passionate about finding creative solutions to promote quality and quantity of life. Her goal is to have every patient who comes into the office walk out balanced, happy and healthy. Dr. Carter holds a Bachelor of Fine Arts in Dance from Temple University and a Doctorate of Chiropractic from Pennsylvania College of Chiropractic. She is certified in Pediatrics and Pregnancy Chiropractic, Physiologic Therapeutics, Cranial Sacral Therapy and Trigger Point Therapy. Dr. Carter is a Certified Thermography Technician and oversees our certified Thermography center. She is an Affiliate with the BX Protocol and is currently enrolled in medical school and working towards her fellowship with the Wilderness Medical Society. Dr. Carter is certified in The Wiley Protocol® bio-identical hormone replacement therapy for anti-aging. She is also on the Program Advisory Committee for the Professional Massage Therapy Program at the Berks Technical Institute. We are pleased to introduce Larisa Sharipova, M.D.. As a Holistic Health Practioner, a Wellness Educator and a Founder of Holistic Expert, Larisa is deeply passionate about working with women to improve their health and happiness through nutrition and lifestyle modification after she has healed herself and enhanced her own well-being. Larisa acquired her Medical Degree from Europe, Wellness Integrative Nutritional and Esthetic education in America, allowing her to coach her clients with a holistic approach, utilizing Mind, Body, Spirit concept. Larisa’s mission is to empower women and change the world where love, health and happiness are priorities. Larisa will help you discover how to bring your body back in hormonal balance, look your best and reach your optimal health. Larisa Sharipova is a Medical Doctor, Certified Holistic Health Practitioner, Public Speaker and Author. Dr. Sharipova is a leading expert in natural hormone balancing, stress management, detox and anti-aging. She offers coaching for women through private sessions, workshops, retreats, and cooking classes around the world. She is a professional member of American Drugless Practitioners Association and International Health Coaching Federation. Larisa Sharipova graduated from medical school in Europe in 1993. Dr. Sharipova had practiced as OBGYN, specializing in adolescent gynecology and infertility and used integrative approaches to treat many hormonal disorders. After moving to the United States, taking Medical Boards, and learning about American Medical System, Larisa decided to take a different path in helping women. Dr. Sharipova is a Certified Holistic Health Practitioner and the founder of Holistic Expert LLC. Her mission is to reach one million women and give them the power to revolutionize themselves. She believes that one woman can empower many others and as a ripple effect, make the world a better place for future generations. When Larisa is not writing, speaking, teaching, coaching clients or making a new healthy dish, you can find her doing yoga, creating chocolate, reading a book or enjoying time with her family. 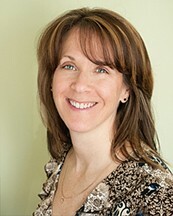 Connect with Larisa to discover how to upgrade your life to better health and happier relationships at www.holisticexpert.org.